If you are relatively new to RVs it can be very overwhelming to make sense of the different types of RVs. There is a lot of new terminologies you may be unfamiliar with and much to learn about how to choose the right RV for your needs. Nothing hurts your ability to buy and negotiate on an RV more than being an uneducated buyer. So before you even set foot on an RV dealer’s lot, you’ll want to start your search by understanding the many different types of RVs available. In this article, we give you an overview of the main points of difference, with photos, to quickly bring you up to speed. 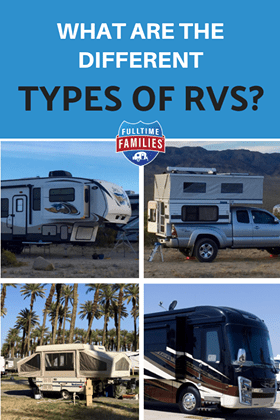 First, let’s separate RVs into two primary categories – Towable and Motorized – then give a brief description of types within those categories. We’ll also cover price ranges of new RVs, but keep in mind that you can purchase any kind of pre-owned RV for much less. This is important to remember as all RVs depreciate, just like cars, only worse! Which is why it’s important to make a sound choice before signing on the dotted line. Are you ready? Let’s jump in! When we refer to towable RVs, we are talking about any RV that is towed behind a vehicle. Towables can range from very small lightweight trailers that can be towed by regular passenger cars, all the way up to huge trailers that require heavy-duty semi-trucks. Towables make up over 80% of the RV market as most RVers use their RV for occasional getaways and otherwise spend significant time in storage. Towables also offer more living space for the price compared to motorized RVs. Of course, that depends on what you may need to spend on a vehicle to tow it. These trailers are generally small and lightweight as the majority of the trailer is made up of tent material that folds out when setting up, and folds down for transportation and storage. They generally have limited floor space but substantial sleeping space. Some pop-up trailers are small enough to be towed behind a regular passenger car, and some are large enough to sleep a family of 6 people towed behind a larger SUV or truck. Pop-up trailers are popular as an entry into RVing, as they are relatively inexpensive and can often be stored in the garage at your home which avoids paying to store it, and easy access for short getaways. These trailers are mostly meant for short trips and vacations, not intended for extended travel, and can’t carry much cargo because when folded down to transport there is very little space remaining. More suitable for longer stays and larger families, hard sided travel trailers are the most popular types of RV. 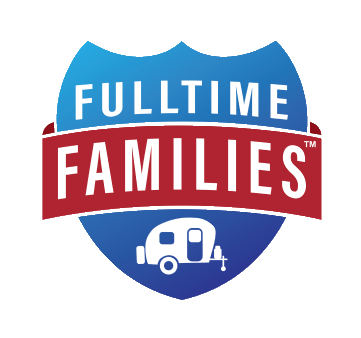 Hard-sided travel trailers can vary dramatically in size from a 15′ teardrop shaped trailer that can be towed by a small SUV, to a 40′ long trailer with a toy hauler garage in the back requiring a big truck. Most commonly seen in the 20-30′ length, with hard-sided walls they will have more cupboards and storage and will be better insulated than a trailer with fabric walls like in pop-ups. A hybrid trailer is a type of hard sided travel trailer which has fabric walled extendable areas to increase sleeping space, similar to a pop-up trailer, except predominantly a hard sided trailer. Some travel trailers have sections of walls that slide out to create a more roomy feel. Note that when you see the length of a travel trailer that length will include the length of the ‘A-frame’ hitch area in front of the actual box that contains the living space. That area is about 3-4 feet, so if you have a 23′ travel trailer, the inside area of the trailer will be less than 20′. Travel trailers can weigh up to 11,000 pounds so be sure that your towing vehicle has the capacity to tow the trailer you choose, all your passengers and their gear. New prices typically vary from $6,000 – $60,000. Fifth wheel trailers get their name from their hitch type (how they attach to the towing vehicle). The hitch connects in the bed of a truck, not at the bumper, more like a semi-truck. Therefore, you will definitely need to have a truck to tow a fifth wheel, and likely need a 1-ton truck or heavier duty if purchasing a large fifth wheel. Fifth wheel trailers are very popular with full-time RVers, but can, of course, be enjoyed by folks using them for shorter trips. 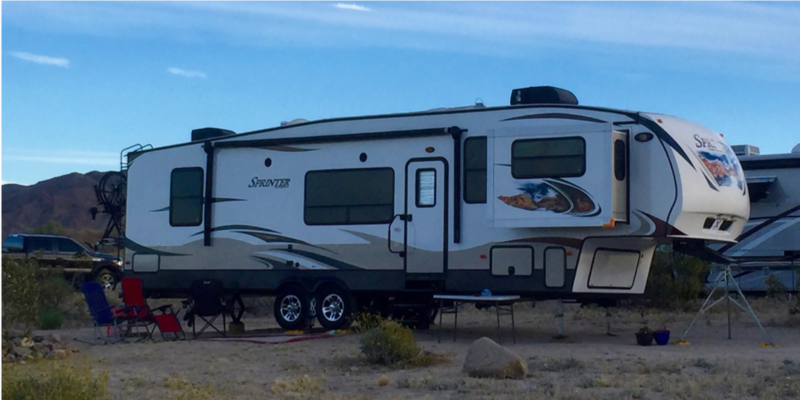 They are great for larger families because they offer the most living space of any RV of similar length, because the hitch is mounted below living space, and you don’t lose living space to a driving area as with motorized RVs. Fifth wheels range from 25′ – 45′ in length and tend to feel very homey inside because of the taller ceilings and the floorplan/layouts offered. Many have sections of the walls that slide out to expand the living space when parked, and some have garage spaces for carrying large motorized toys and might even have elevated deck areas when setting up at a campsite. 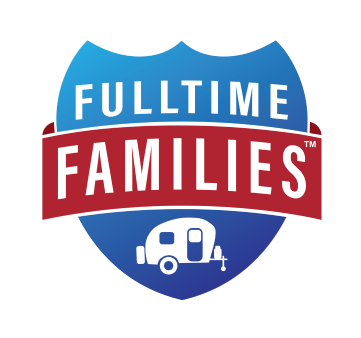 Some fifth wheels come with two bedrooms, and many families will convert the toy-hauler layouts into a second bedroom with bunk beds. Prices range from $20,000 – $200,000, but remember you will likely need a substantial truck to pull it as they often weigh over 10,000 pounds and can weigh over 30,000 pounds. And trucks can be expensive! Motorized RVs – also known as motorhomes – have an own engine and chassis, therefore, you don’t need a separate vehicle to tow it. One exception to this in the list below is that we have included truck campers in this section because it’s mounted onto a vehicle. 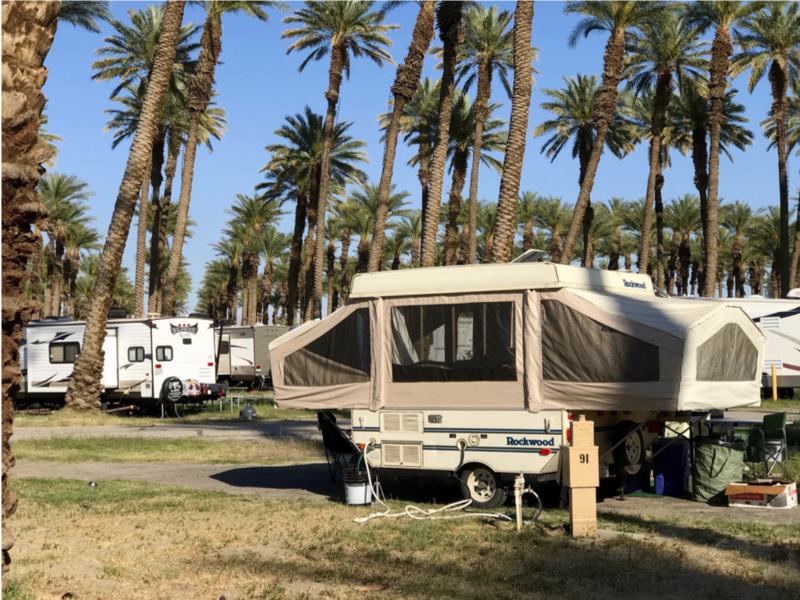 Depending on the type of motorized RV you are looking at, you may also choose to tow a vehicle behind it, which means you can leave your RV behind in a campsite and explore the local area – usually in a smaller and more fuel-efficient vehicle. Class A motorhomes are the motorhomes that look like buses. Class A gas motorhomes are generally smaller and lighter than diesels. They range from 26′ to 38′ long and are usually built on chassis ranging from 19,000 lbs to 26,000 lbs gross vehicle weight capacity. Class A diesel motorhomes generally have the engine mounted in the rear of the vehicle, thereby creating the term diesel pusher. They range from 28′ to 45′ long and are usually built on chassis ranging from 24,0000 lbs to 54,000 lbs gross vehicle weight capacity. 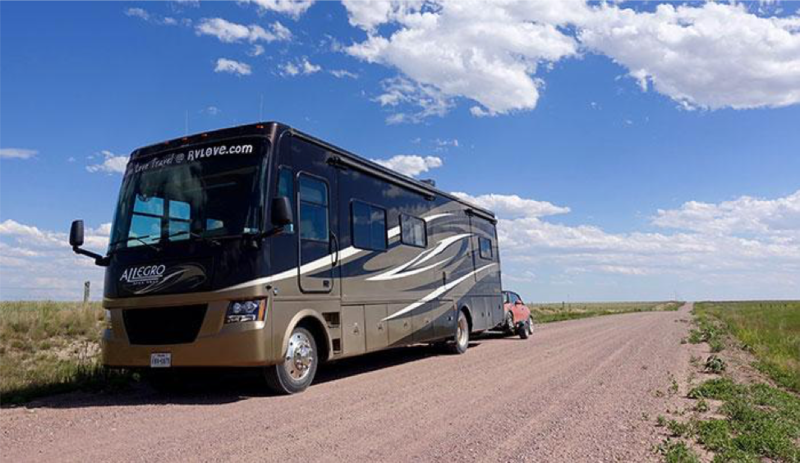 Many newer class A motorhomes will have slide outs that can expand the living space when parked, and some may offer toy hauler or two bedroom floorplans. Class A motorhomes offer more living space per foot than other types of motorized RVs since the ceiling height is consistent throughout. New Class A motorhomes generally cost between $60,000 and $600,000 (and can even go higher) depending on whether gas or diesel and can vary substantially in quality and amenities. 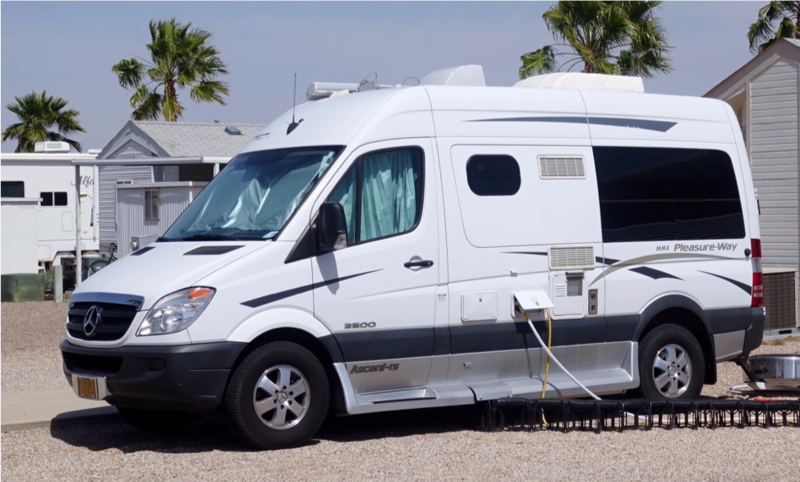 Class B motorhomes are much smaller, starting with a van chassis and building in an RV kitchen, bath and sleeping areas. They are very nimble RVs as they drive like normal vans, but their size will also limit the living space inside. Their limited size can make it a challenge for more than two people for extended periods, but may be suitable for shorter vacations, or are great for road trips to destinations with additional sleeping areas. Fuel economy will be far superior to Class A motorhomes due to their smaller size. New prices vary from $40,000 – $200,000. Class B+ RVs are slightly larger van conversions that will have a higher roofline, and might be slightly wider than a normal class B, but are still built on a van chassis. Their larger space allows for additional sleeping areas and more living space, thereby making them a better fit for more than two people or extended travel than traditional Class B RVs. Class Cs are a popular type of RV and probably the most common motorized RV you’ll see out on the road. Most of the rental RVs that you see with rental company branding are Class C motorhomes. They start with a cab and frame of a truck or heavy duty van chassis and add a wider and taller RV box behind and above the cab area. Class C RVs have a sleeping area above the driving/cab area of the RV. They range in length from 20 – 31 feet in length. Newer model Class Cs will often have slide outs to increase the living area. Some have dedicated bunk areas for larger families, and most all will have areas that convert to beds in need. 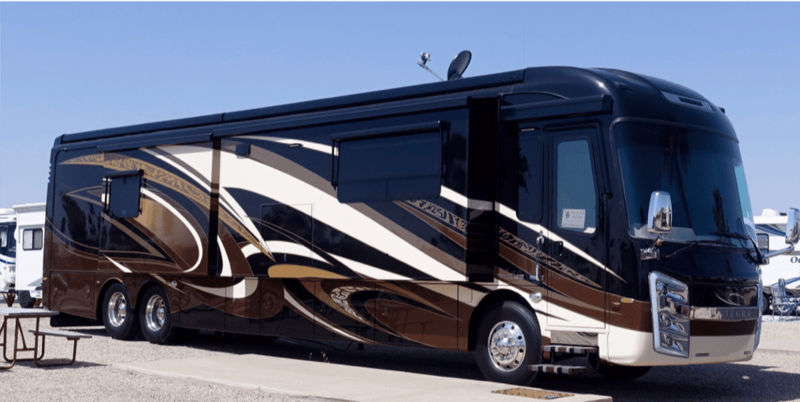 Prices on new Class C RVs generally range from $50,000 – $150,000 so they are one of the more affordable motorized options and are therefore a common entry into motorized RVs. As the name implies, a Super C is a large C Class motorhome. It is built on the same principle as the regular Class C, but on a larger and heavier capacity chassis with more powerful engines and higher towing capacities. New prices of Super C RVs range from $160,000 to well over $500,000 for luxury units built on semi-truck chassis. Truck campers slide into the bed of a truck. Some might be as basic as a shell, but we are mostly referring here to the larger units that allow you to stand up and have kitchen, bath and sleeping areas. Some lighter weight versions have fabric areas of the walls that allow you to lift/pop-up the roof when set up (like the one pictured). These also allow a lower height when traveling for better fuel economy and to allow you to drive into areas with lower height restrictions, for example, if you were going off-road in areas with trees. Living space, and especially floor space is typically limited, and therefore not a great fit for most families. They generally weigh between 1,000 – 4,000 pounds and are offered at prices between $8,000 and $50,000 new. Of course, there’s a whole lot more to learn about and understand before you make your RV buying decision, but this gets you well on the road to becoming more familiar with the many types of RVs and making sense of the sea of choices available. We do a much deeper dive into the many important RV buying considerations in our book Living The RV Life – Your Ultimate Guide To Life On The Road and guide you through the RV buying process through our online courses and workbooks at RV Success School. 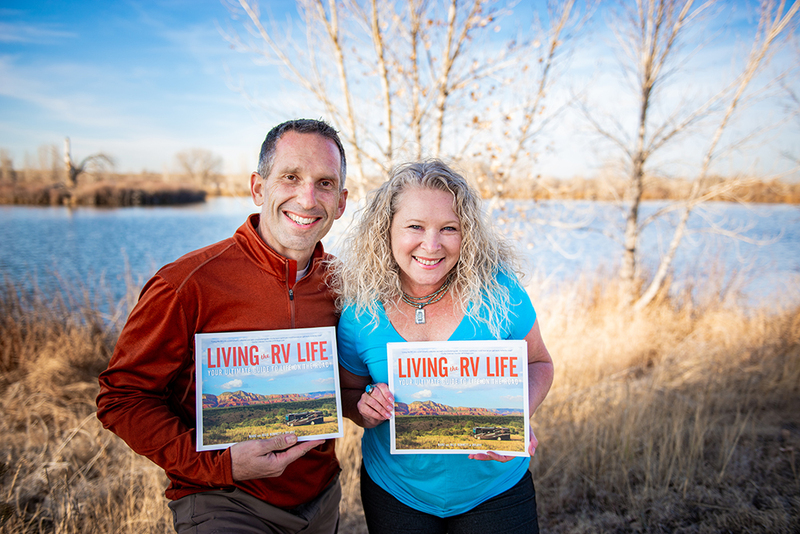 BIO/ABOUT: Marc and Julie Bennett are full-time RVers, YouTubers, and co-authors of “Living the RV Life – Your Ultimate Guide to Life on the Road” (Adams Media/Simon and Schuster). 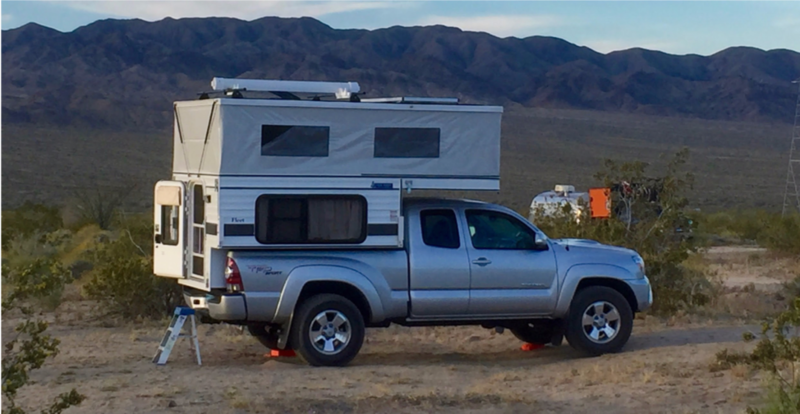 They are in their 5th year of full-time RVing and have visited all 50 USA States – plus Canada, Mexico, and Australia – while working full-time. They share as “RVLove” on their blog and YouTube channel, and appear in the RV Nomads movie. 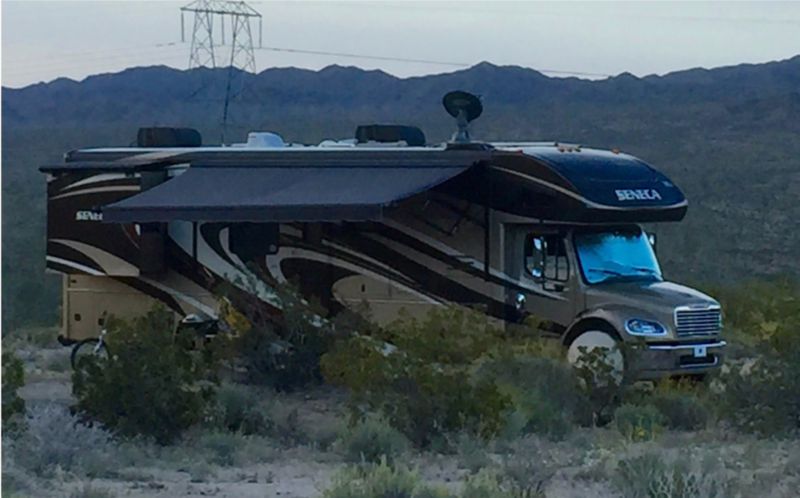 They offer online courses, private consulting and coaching at their popular RV Success School and are regularly invited to share their knowledge and insights with the media and at RV industry events.